No matter what you’re selling, from consulting services to marketing, to international transportation logistics, the quality of your work will first be judged by the quality of your website. Despite knowing this, many websites fail to deliver the quality that is present in a company’s work. Click here to build a website that drives leads and revenue for your business. EM Search Consulting is a leading digital agency helping over 120 local, regional, and national businesses dominate their industry through strategic digital marketing. They are the only digital marketing company to boast fully transparent reporting, offering a trusted, unbiased perspective. 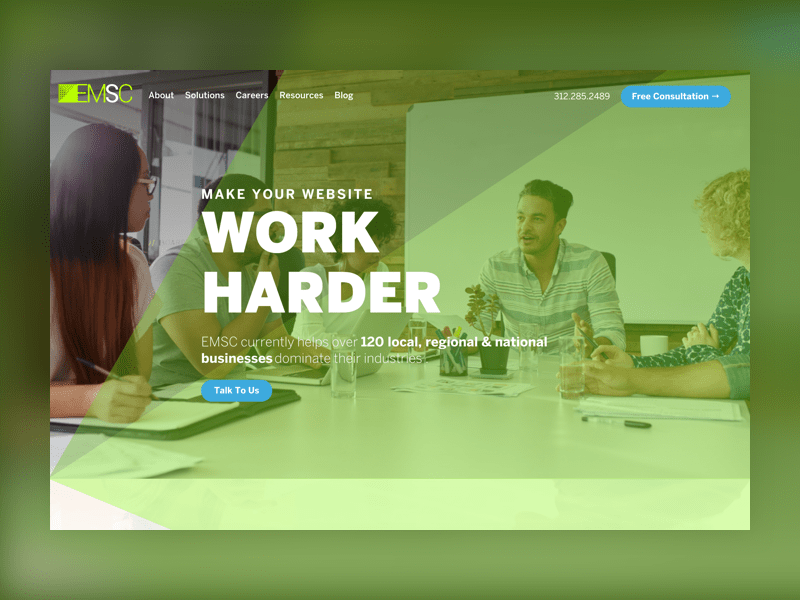 Their focus on ROI has led to their stellar reputation and unbeatable results for their clients.As a partner of EMSC’s, Clique eagerly approached this project to create a newly designed website to help expand their business. As they continued to grow, they needed a scalable site to elevate their brand and engage target audiences and top talent. See the updated design here! 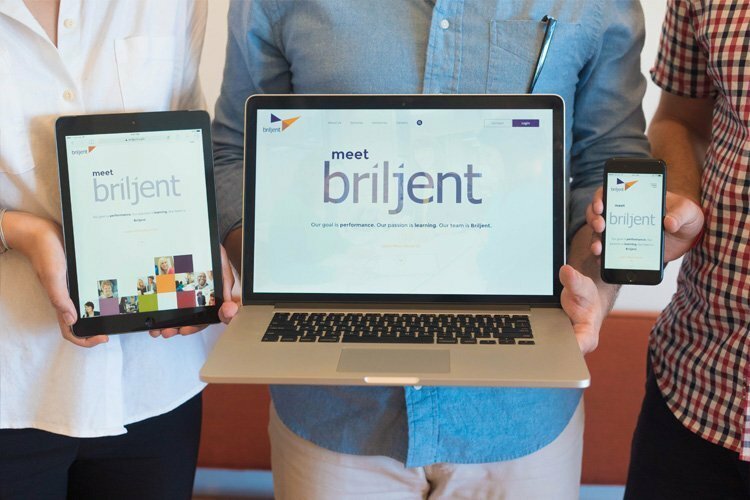 Briljent is an innovative consultancy dedicated to adult learning, instructional design, and training delivery. Their unique learning solutions help educate people, improve workplace performance, and drive individual growth. With a team of 150+ spanning 3 locations and 20 years of experience, their strong reputation only continues to grow.Briljent approached Clique in need of a modern website to better communicate their value proposition, as well as showcase their people. 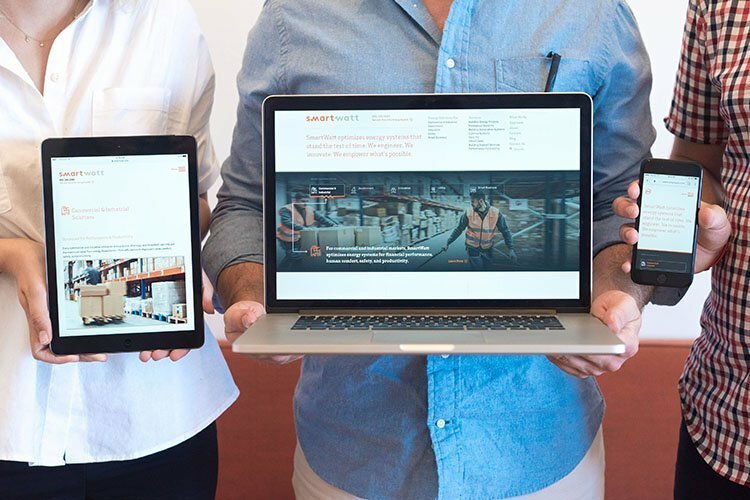 With a user-focused design and updated content strategy, their new site does just that. SmartWatt Energy is changing the way energy projects are conceived, built, and managed by becoming the expert on energy optimization. 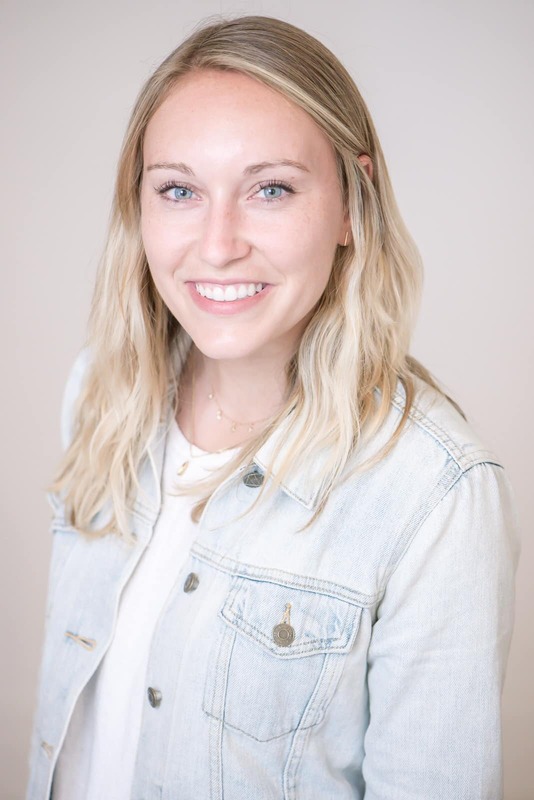 They develop sustainability projects for organizations aimed at upgrading their energy infrastructure.Their differentiated approach of utilizing their own in-house experts reflects their commitment to never being a canned solution. They deliver optimal value to their clients— the right plans for the right needs— proving themselves to be the antidote to the status quo in energy services.SmartWatt approached Clique to revamp their digital presence to better communicate their services and industry verticals in a way that highlights their experience and expertise. Clique led an effort to design and build an entirely new website that builds brand awareness, increases user content consumption, and establishes SmartWatt’s tailored approach as the optimal solution for all energy needs. Jetty Security is a private security and investigations firm, focused on protecting people, data, facilities, and company assets. With a long list of certifications and a unique skillset, their customized security solutions are unmatched. Before working with Clique, there was no Jetty Security website in existence. We built the brand from the bottom up, concepting a logo, implementing a color scheme, and designing their online presence. See what we came up with! Petrosino’s Parlour delivers a serene spa and salon experience in one of Chicago’s premier hotels, The Gray. From express services to full-body treatments, they provide a respite in the middle of the city, priding themselves on their fashion sense, precision, and hospitality. Their recent move into The Gray Hotel not only provided them with a new space for physical growth, but also with the opportunity to update their brand. 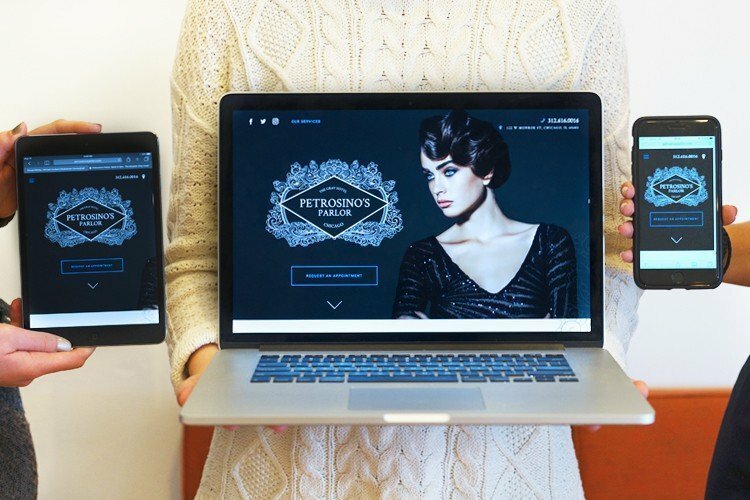 Petrosino’s approached Clique to execute this brand refresh online. They wished to reinvigorate their existing brand and bring it into alignment with The Gray, and our custom photography, inspired design, and updated site build delivered this vision. The new site highlights their broad range of services, elevates their brand, and ensures customizability as they prepare for future growth. 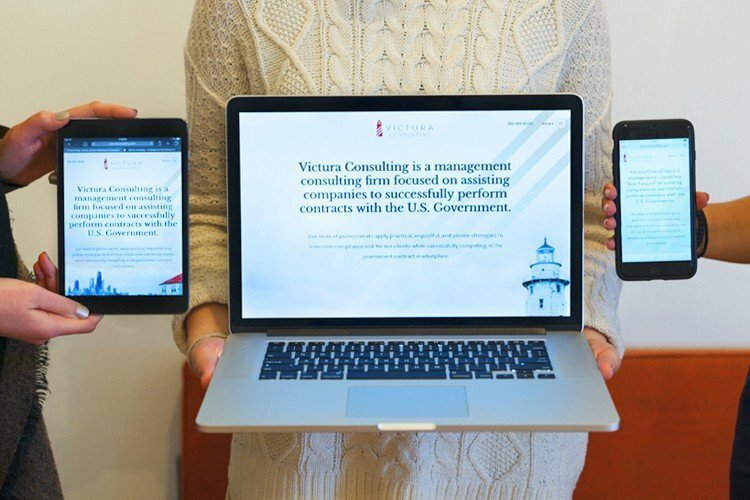 Victura Consulting is a management consulting firm dedicated to assisting companies to successfully perform contracts with the U.S. Federal Government. Their technical expertise, commitment to client service, and breadth of experience have elevated this tight-knit company to a name people can trust. Victura approached Clique recognizing that, as a new firm, they needed to establish and promote their brand, specifically through a well-designed professional website. We started from scratch— we created a distinct logo to convey their brand identity, developed a site that effectively communicates the value of their brand, and implemented a truly engaging experience on all devices to promote the company’s growth. We’re really excited about this one. See how all the pieces came together! For anyone who has ever needed to file a claim, it can be a very overwhelming process. Chartwell Insurance Services understands the nuances of insurance claims and works closely with their clients on a tailored approach, something you’re not likely to find with a huge insurance provider. They have become a widely respected insurance brokerage with knowledgeable and experienced professionals, working with clients across America and overseas. Chartwell came to Clique looking to completely revamp their digital presence. They needed their online persona to reflect their hands-on approach, their high-end services, and their expertise in the industry. 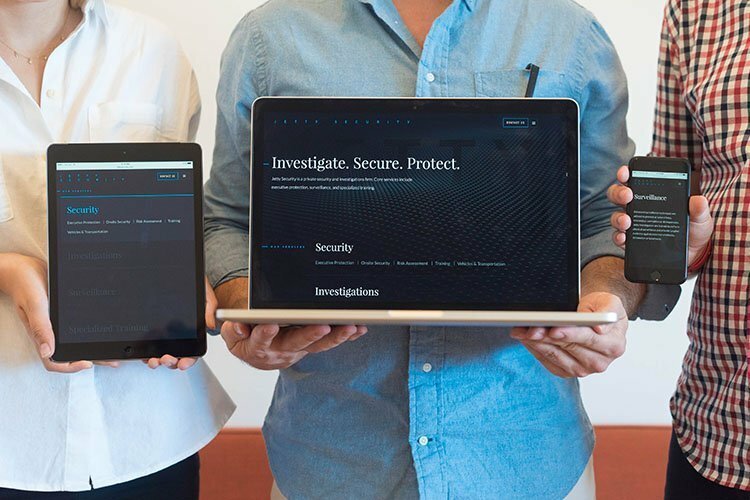 Clique led an effort to design and build an entirely new website that would establish trust and credibility for high net worth individuals looking for property and casualty insurance. 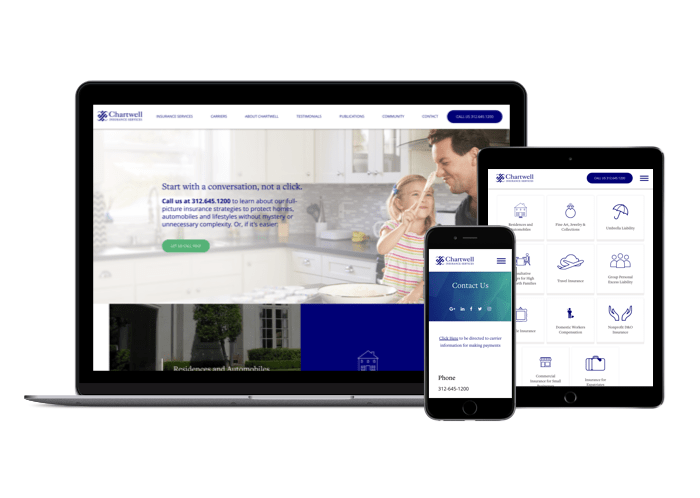 We are thrilled with the outcome and already excited by its impact- check out Chartwell Insurance Service’s beautifully redesigned site! We were extremely happy to work with the folks over at 33 to rebrand the look and feel of the 33realty.com website! 33 is a fully integrated real estate company that offers comprehensive, high quality real estate services. Each service line at 33 was developed organically and structured with the primary focus of providing clients with “one-stop shop” convenience and high quality service for all their real estate needs. The original designs, which we created several years back, were altered to reflect a 2015 presence, while still keeping the straight-forward and easy to digest layout. Check it out!